The New Weiss Lake Fish Habitat Enhancement Program was completed on WeissLake on December 11th. Sponsored by Alabama Power and The Weiss Lake ImprovementAssociation. The New Weiss Lake Fish Habitat Enhancement Program was completed on Weiss Lake on December 11th. Sponsored by Alabama Power and The Weiss Lake Improvement Association. 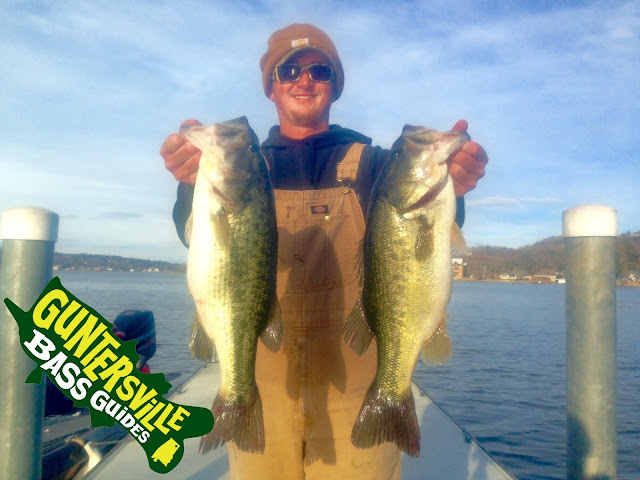 Lake Guntersville Winter Bass Fishing is not the fastest fishing of the year but when you get the bite you forget about your cold feet cold hands and your focused on the task at hand.